Capoeira Dancers are an international Capoeira group hosted by Mestre Celso, a student of the legendary Artur Emidio and the oldest Capoeira teacher in Rio. The Surrey based group is run by his son Professor Bicudo who is also from Brazil. Capoeira is a 500 year old African martial art developed by slaves in Brazil. It has been popularized in video games such as Tekken and in movies such as Warrior Kinf. It is practiced by celebrities such as Charlize Theron and Wesley Snipes. 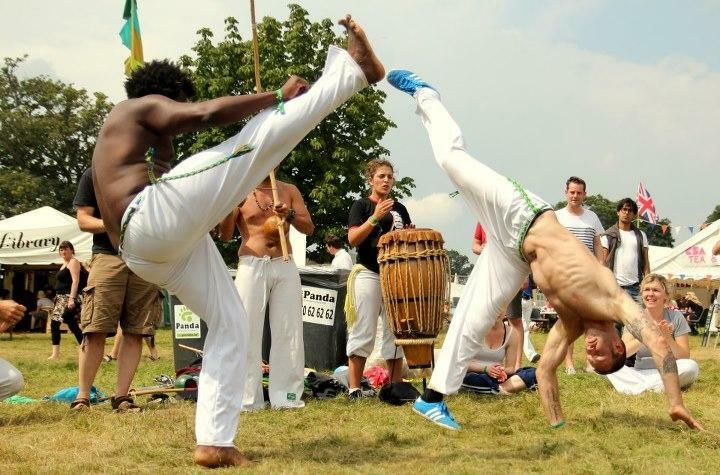 Come and join the social, spiritual and cultural phenomena that is Capoeira! This group is formed of 6 performers, which includes dancers, and performers who play instruments, sing and clap along with the performance. For a group of 6 performers the performance length is enhanced to between 10 – 25 minutes. 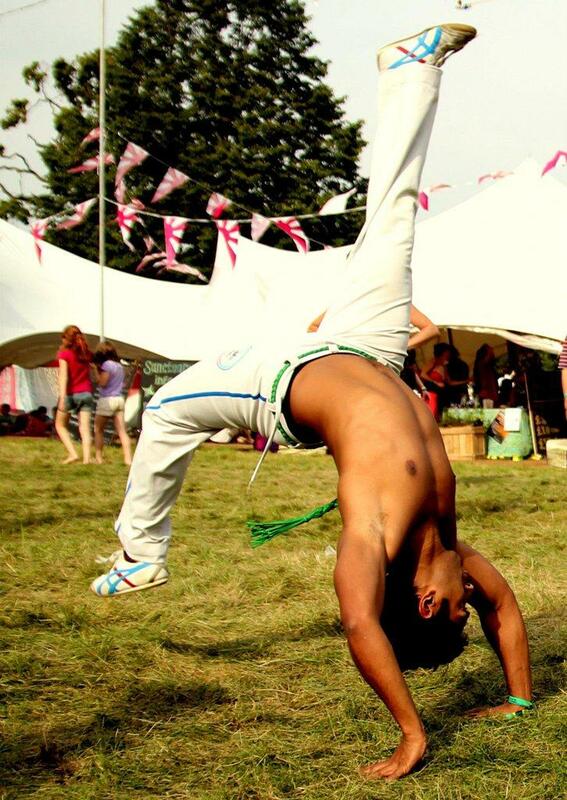 Capoeira Dancers are also available to run workshops and lessons within schools. Association of Capoeira Engenho da Rainha (ACER) has been providing Capoeira lessons in schools for 6 years. All our instructors are CRB checked and have years of experience of working with children and young adults. Capoeira is a fusion of fitness, acrobatics, self-defense, dance and music. Capoeira has been recently popularised in ‘Harry Potter’, ‘Blade’, ‘Ocean’s 12’, ‘Mission Impossible 2’, ‘Cat Woman’, MTV Popmusic Videos and even Play Station games. This recent popular exposure means Capoiera can has been able to enthuse a wide range of students, even those previously uninterested in physical education. Students will have the opportunity to learn about the music, history and language (Brazilian Portuguese) of Capoeira whilst improving fitness and agility. Capoeira provides a platform for personal achievement, improving self-esteem and creativity. Introducing Capoeira to your school’s physical education plan allows the introduction of cultural variety and exciting diversity. One workshop will usually run for two hours. Your performers where extremely professional and were greatly received by the client and their guests. We hope the performers had fun, they appeared to on the day and we enjoyed working with them. We would definitely like to use your services again due to the high quality and professionalism of your performers. The performers were great and the show went really well. All the martial artists did exactly what I asked them to and made that part of the show very entertaining.